Chiefly responsible for UC’s high-quality education, the Academic Senate approves and oversees courses and curricula, and establishes requirements for admissions, certificates, and degrees. It also advises the administration on budgetary, personnel, and other matters pertinent to UC operations. Senate authorities are defined by the Board of Regents. With 2600 ladder-rank faculty members, the Davis Division is one of ten campus divisions that compose the Systemwide Academic Senate. Each division speaks as the official voice of faculty on its campus, while the Systemwide Academic Senate speaks as the official voice of all UC faculty. Why does UC Practice Shared Governance? The Board of Regents, the administration (led by the UC President), and the Academic Senate run UC through a model of shared governance. In essence, shared governance enables partners to focus on what they know, and do, best: faculty pool their expertise to build and govern our academic missions, while Regents and administrators allocate human and fiscal resources in service of those missions. By consulting and collaborating with each other, these three entities ensure UC’s missions are fulfilled both academically and structurally. 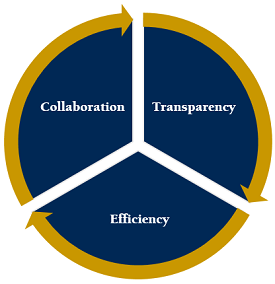 The Davis Division firmly believes that shared governance underlies the strength and quality of UC Davis and UC at large. To uphold the strong, vibrant working relationships essential to shared governance, the Davis Division practices three principles: transparent communication, respectful collaboration, and efficiency. Want to Volunteer for Senate Service? By volunteering for Senate committee service, you not only fulfill your service requirements, but have the opportunity to work alongside new colleagues from outside your department, college, and school, broadening your view and expertise of our campus and UC at large. Appointments and reappointments to Senate committees are performed annually. A call for volunteers is distributed each academic year from mid-December through early February. To be effective, the Academic Senate relies on the advice of balanced committees that reflect the diversity of individuals and disciplines across campus. To learn more about Senate committees and service, we encourage you to browse the committee list and speak to your colleagues who have served.